What does shopping online get us that going to a jewelry store wouldn’t? Why should we start my search online instead of going in person to a local expert? Why would we stay engaged past the point of purchase? Is there more to this category than simply price, selection and service? One company showed us it’s possible to inspire loyalty even in a commodity business. The other two players forgot that marriage is one of life’s most emotional times and too often gave feelings second priority to the practicality and value of the decision. The leading supplier of ethically sourced diamonds, Brilliant Earth projects as the company who cares. They teach customers that the traditional definition of conflict-free is not good enough. Instead, they encourage “Beyond Conflict Free.” Recycled gold, donating profits and vintage rings strengthen their higher purpose. Their brand foundation is stable and strong. 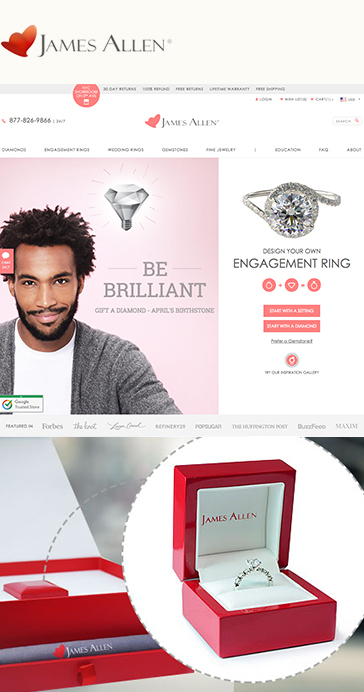 Rave online reviews, beautiful packaging and real HD images of diamonds make James Allen a worthy brand. However, they’ve never been able to recover from plummeting site traffic due to a website redesign and Google penalties back in 2010 and 2013. Their organic site traffic fell from over 600,000 visits a month to just 50,000. When a primary competitive advantage in a category is simply to outspend everyone else, it makes the space ripe for takeover. 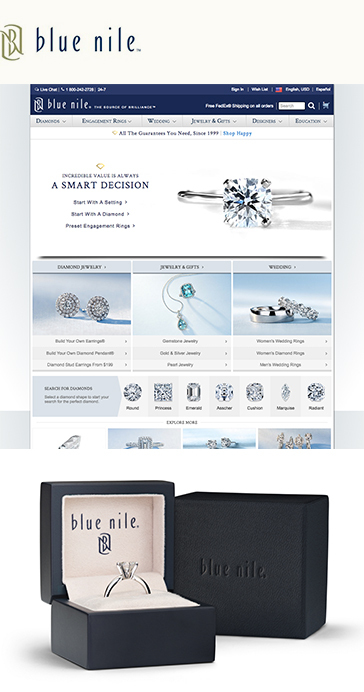 Blue Nile’s current PPC budget of $394,000 and #1 organic Google placement for top keywords ensures them traffic flow right now, but relying on this too heavily puts them at risk to lose out to the next highest bidder. What’s left if they get outspent? Created their own level of certification called, “Beyond Conflict Free.” This gives them a unique and defensible position. Highly diversified organic keyword traffic makes them difficult to compete with in search. Strong understanding of their target audience, expressed through evocative photography, messaging and tone of voice. Large site map - 64 pages alone underneath their Our Movement (About Us) umbrella - is tough to maintain and can be overwhelming for visitors to find information quickly. Much of their blog writing appears to be outsourced to a consultant, hurting their ability to grow internal thought leadership. Their basic display and PPC advertisements didn’t remind us of their higher purpose. Consider testing a more compelling above the fold message on your homepage. Update your two-year old videos to better reflect your high quality standards and storytelling abilities. Relink the 75+ broken links we found on your site. Want our full recommendations on how Brilliant Earth could improve? Download the 14-page report. James Allen offers customers actual HD images of individual diamonds. This allows shoppers a unique chance to shop online for exactly the right stone. 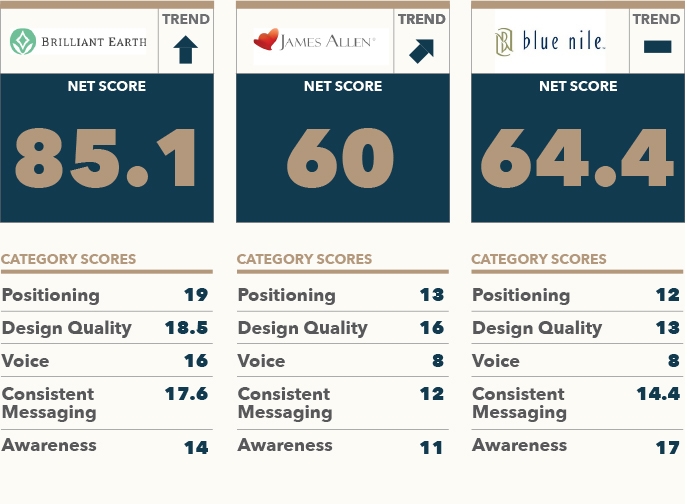 Flattering online reviews from thought leaders reassure customers they can trust James Allen. This likely contributed to a 50% increase in year-over-year branded search volume. Beautiful packaging in the form of a usable jewelry box, which leads to a memorable unboxing experience. Unable to recover from a major drop in search volume in 2010 an 2013. No investment in content leaves them with a sparse blog. Overuse of all capital letters on the website is chaotic and feels like shouting. Either take down the blog completely or make a commitment to consistent publishing. Make it a priority to regain lost search traffic. This will likely involve a site redesign, SEO support, influencer outreach and a true content strategy. Find a higher purpose for the company. Stunning HD images alone won’t cut it with the millennial audience. Want our full recommendations on how James Allen could improve? Download the full report. Significantly larger paid advertising budget than both their competitors. High organic ranking, number one in many cases, for key search terms. A compelling advertising campaign called, “It’s your life. 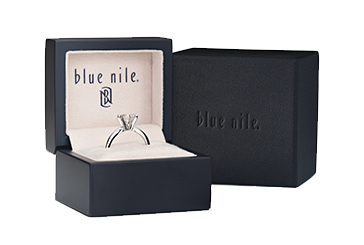 Be engaged,” which showcases how a Blue Nile ring features thoughout a lifetime of memories. No clear point of difference in the category besides being the largest. Unclear which gender, age range or income level they were targeting. 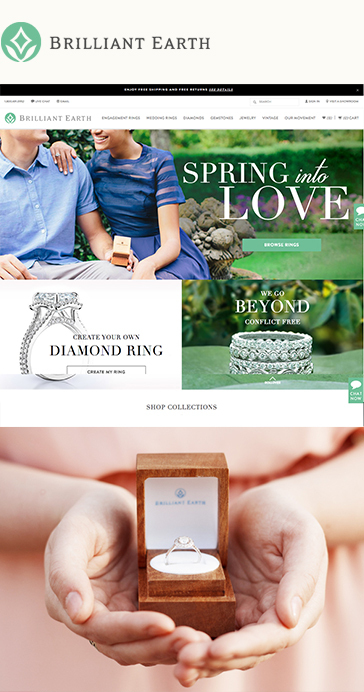 Overwhelming web experience with busy pages, no actual photos or videos of the diamonds, distracting cart add-ons and a customer journey funneling us into pages with ALL the diamonds and ALL the rings at once. Begin a dedicated content campaign to own long-tail keywords and diversify search traffic. This will reduce the risk of being overtaken by a competitor in the top organic ranking spot and can reduce PPC spend. 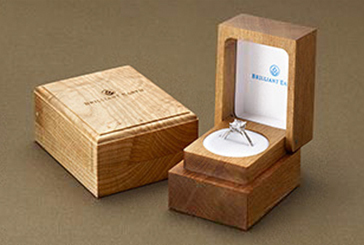 Improve the product packaging to create a WOW factor when the ring arrives in the mail. This will help drive user-generated content which is crucial in today’s social media world. Determine who the primary and secondary audiences are, craft messaging specifically for them, develop educational content around their needs and innovate a new product line specifically for them. Want our full recommendations on how Blue Nile could improve? Download the full report.